We all like to think we are doing the right things when it comes to looking after ourselves and eating well. So here you are, thinking the snack or small meal you’re about to eat is wholesome and well balanced. It’s not a donut or piece of mud cake, right? That may be, but it could contain a phenomenal amount of “white death” ie: SUGAR! 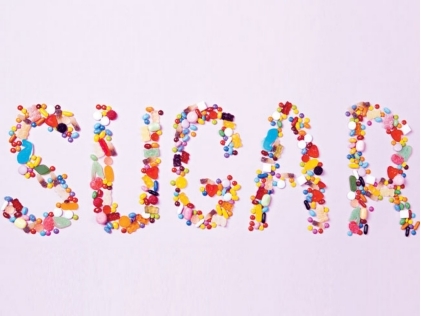 Even though you may think that sugary foods are easily identifiable (cake, chocolate, lollies etc) there are sneaky sugars (a.k.a. carbohydrates) in many of the foods you have been lead to believe are “healthy”. For the longest time we have been lead to believe that granola/muesli is the perfect breakfast for any earth-loving, health-food enthusiast. Yet this breakfast favourite, especially the ones on the supermarket shelves are PACKED full of sugar. Sometimes more sugar than the chocolate or rainbow coloured cereal it’s sitting next to. So what’s the alternative? EASY! Try my home made muesli recipe which you can find here. Yes, fruit is good for us. But there is no denying fruit contains quite a large amount of sugars. A single serve of pure fruit juice can have over 30 grams of sugar! (fructose). Try adding some greens or diluting your juice with water. You could even try my green smoothie recipe here. Depending on your tastebuds, a drizzle of sweet onion vinaigrette or Italian dressing may taste as sweet as raspberry vinaigrette! Only difference is, the onion salad dressing can contain up to four times the amount of sugar as the raspberry vinaigrette! Swap your sickly sweet salad dressings for tahini, tamari, flaxseed oil or some homemade pesto.